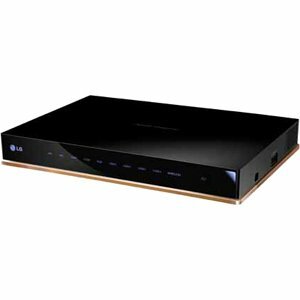 Lg Electronics - Lg An-Wl100w Wireless Video Console/Extender - 7 Input Device - 1 Output Device - 4 X Hdmi In - 1 X Vga In "Product Category: Network & Communication/Video Consoles/Extenders"
Lg Electronics - Lg An-Wl100w Wireless Video Console/Extender - 7 Input Device - 1 Output Device - 4 X Hdmi In - 1 X Vga In ''Product Category: Network & Communication/Video Consoles/Extenders'' by LG at Ecsindo. MPN: AN-WL100W. Hurry! Limited time offer. Offer valid only while supplies last. SC to SC SingleMode 15M fibre optic patch cable.Israeli Cutting Edge Technology, SC/SC Duplex 9/125 Single Mode 15M (49.21ft) Fiber Patch Cable,Single Mode Fiber Cables SC To SC, 3MM Yellow PVC.